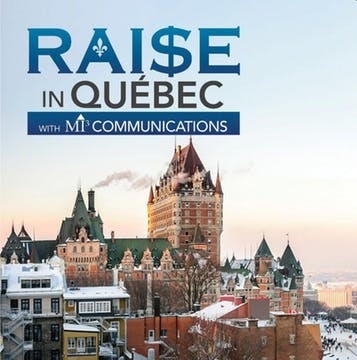 Much to our surprise, we recently discovered that a microcap conference will shortly be held in beautiful Quebec City: the RAI$E conference, organized in collaboration with MI3 Communications. This one-day event will be held at the Château Frontenac in Quebec City on November 23rd and is open to investors, analysts, brokers and other finance professionals. Participants will have a chance to meet about fifteen microcap companies and get direct access to their management teams. This is a great opportunity to ask questions and gain an information edge over other investors. In addition to company meetings and networking opportunities, a few guest speakers will perform educational presentations. We are very proud to announce that Philippe will be one of the speakers at the event with a presentation entitled “Espace MicroCaps Top Picks”. He will provide an overview of our investment criteria and philosophy before highlighting the three companies we believe are the most promising in the microcap sector right now! You can register and attend the conference (as well as Philippe’s presentation) by booking a free ticket here. We look forward to it and hope to meet some of our readers at the event! When: Friday November 23rd, from 8:30am to 5:00pm. Where: At the iconic Fairmont Le Château Frontenac, in Quebec City. 16 private or group meetings with companies – 20 minutes per meeting. Four guest speakers during the day. Complimentary lunch and cocktail reception.